Office 365 Preview Expires on January 16, 2013 — Upgrade Now! Last summer, Microsoft offered users a free, beta, version of Microsoft Office 2013 via a preview version of Office 356. They noted that this preview version of Office 365 would expire about 90 days after Office 2013 hits RTM. Well, folks, it seems that that time has arrived. At the time of this writing, Office 365 preview will expire in just over a day. If you are still using it, I strongly recommend you uninstall it. You can continue to use an older version of Office that you own. (Note, you were able to run the older and the beta version side by side.) Office 365 should become available for purchase later this month. With the Office 365 subscription, you can own the entire Office suite for a very low price (relatively). If you can’t wait to get your hands on the final version of Office 2013, you can download a trial version of Office 2013 RTM. Note that this trial expires in 60 days after you install it. UGHHH!!!! Obviously you can avert this by not updating it. right? Yes, of course. Nothing will happen when your subscription runs out. If your subscription expires, all of your office apps will only be able to read files and not edit them. Basically, you can view office documents but won’t be able to edit them. Your PC won’t be harmed when the subscription expires. Now, about office web apps: office web apps are always free. Microsoft doesn’t charge for those. Even after Office 365 expires, you can continue to use Office web apps for free from skydrive.com. Just log in to skydrive and open or create a document in the office web app. 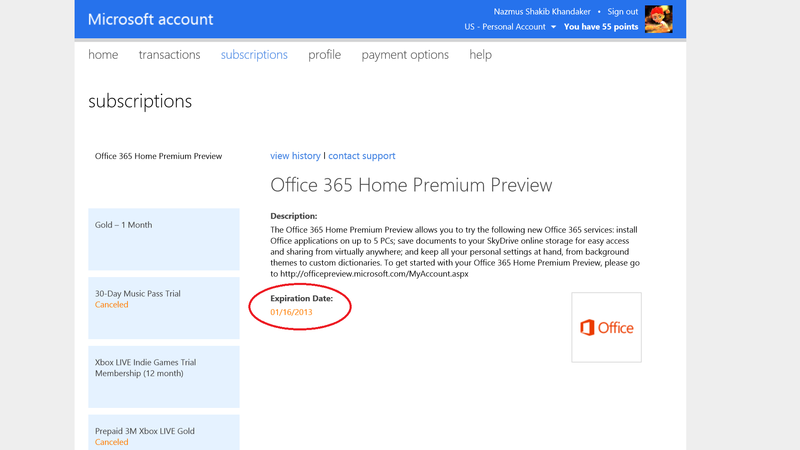 Office 365 Customer Preview is about to expire!